Many people are interested in the healthy benefits of Apple Cider Vinegar (ACV). 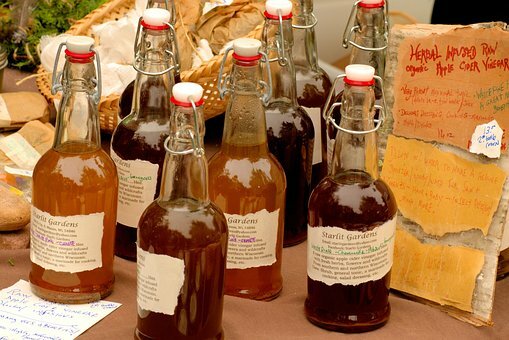 The unpasteurized or organic ACV contains”The Mother” of vinegar, which is exactly what you want to look for. “The Mother” sediments are strands of proteins, enzymes and friendly bacteria. ACV assists in killing various kinds of bacteria. It is antifungal, antifungal, anti-bacterial, anti-septic and kills 98% of all germs. It has even been shown to kill cancer cells in recent studies. Adding to this increase, it will detoxify the body. It’s full of vitamins, enzymes and minerals in its raw form. Raw ACV is what is advised for all cleansing and detox. “The Mother” is the sediment left over from the fermentation process and the meat of the apples. This is why it is so helpful in detoxifying your body. Additionally, it lowers blood sugar levels and helps to fight diabetes. Certain diabetic medications are intended to block the digestion of sugars and starches. By blocking the digestion of these chemicals, medications can effectively stop blood sugar spikes, and can therefore help to regulate healthy glucose levels. ACV may have the ability as some drugs. It includes acetic acid which inhibits the activity of several digesting enzymes, such as amylase, sucrose, maltase, and lactase. As a result, when vinegar is within the intestines, some sugars and starches temporarily pass through without being digested, so that they have less of an effect on blood sugar. ACV helps lower blood pressure and reduces your risk of heart disease. When you use it for a high blood pressure remedy, you’re most likely giving your whole body a boost, not just treating your blood pressure issues. It aids in better circulation and lowering pressure against the arterial walls by breaking down fat and phlegm deposits in the body. ACV releases free radicals that wreak havoc on your body on a daily basis. There are many ways you may add ACV into your daily diet. It is recommended that you drink a small amount diluted with water before each meal, 3 times each day. 1-2 teaspoons, depending on what you can handle mixed with raw or lemon local honey helps with the flavor. You could even add it to your salad, raw veggies or any meals rather than drinking. ACV is acidic and therefore don’t forget to look after your teeth! Rinse or brush after taking the ACV to help safeguard your enamel. Although there are many positive benefits, there may also be some unwanted side effects. Before beginning an ACV diet, consult your doctor and understand what ACV is. Animal Removal New Smyrna Beach FL uses it to great success with cooking.